Guilty Hero's debut album Sweethearts is released today. Guilty Hero were formed in 2009 after discovering a shared interest in electronic music, they've explored a diverse range of styles, drawing influence from electro, drum n bass, breaks even the goth scene. Refined through shows in the vibrant Melbourne live electronic scene, Sweethearts consists of 9 exclusive tracks of intelligent breaks. Sweethearts is available via iTunes, Bandcamp, Amazon, Soundeo, and many more. It is also available to stream on Rdio and Spotify. Sweethearts will be launched in our home town of Melbourne, at The Empress Hotel, 714 Nicholson Rd, Fitzroy on August 10th. Only $5 to get in and you'll recieve a CD. 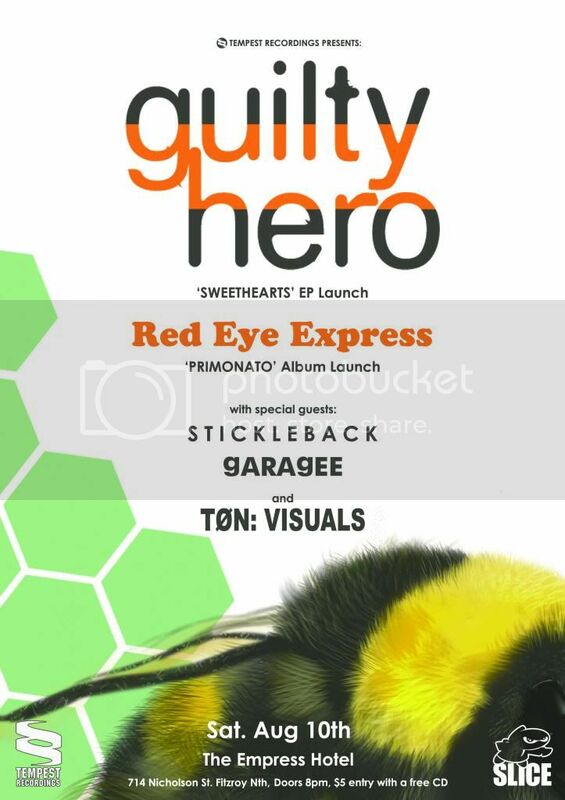 Supports on the night will be Red Eye Express, launching their double album, Primonato, plus Stickleback & Garagee, both of whom are featured as remixers on both Sweethearts and Primonato. To get you all in the mood, take a listen to a new DJ Mix from Guilty Hero, showcasing their new material and their influences. We've also got a DJ mix from Stickleback, showcasing his remix work, including mixes for Side Liner, Numatica, Guilty Hero, Red Eye Express and more.